The other week I went to visit our colleagues at the Nelson Provincial Museum. I was especially interested to see how they presented the story of the Wakefield Company, whose history intersects with both Petone and Nelson. While there I also got a tour of their collections store, and felt most envious of their beautifully laid-out storage units. A connection between our museums I didn’t expect was their display on the Griffins Biscuit Factory, which started in Nelson, before opening in Lower Hutt. 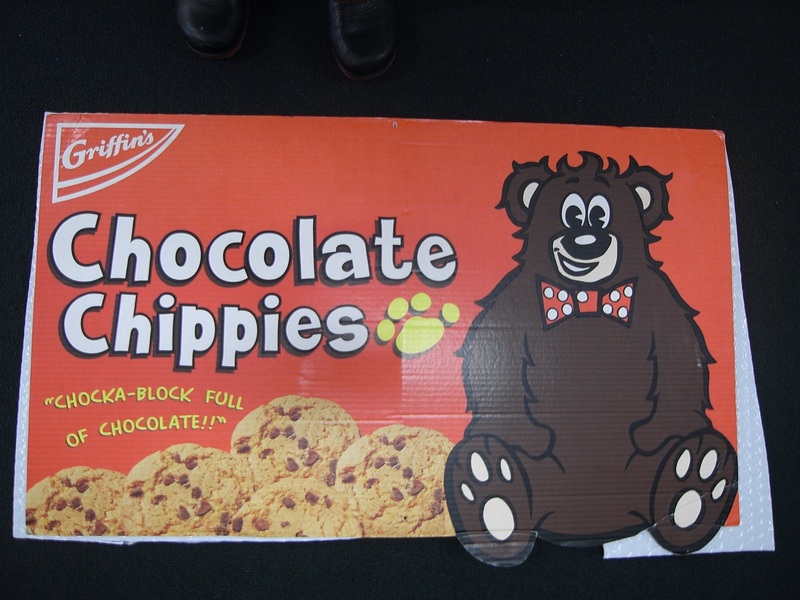 Mr John Griffin began a flour and cocoa mill in Nelson in 1884, expanding by 1890 into biscuits. (Apologies for this rather blurry snap). 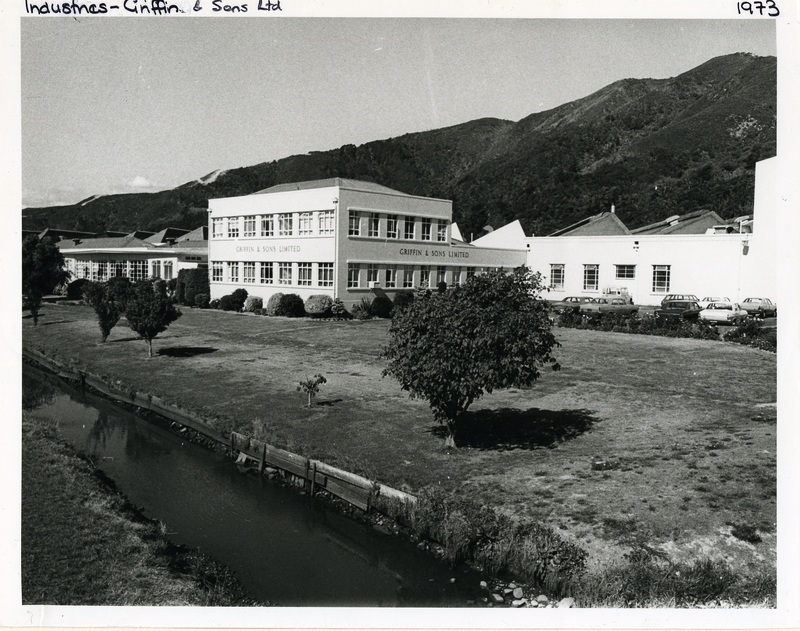 Griffins Factory, Lower Hutt, 1973. In 1938 a factory was built in Lower Hutt, and the biscuit part of the business was relocated here. The factory made Gingernuts, Milk Arrowroot, Super Wine, Vanilla Wine, and Round Wine biscuits, and, when WW2 broke out, began making army ration biscuits. and this train full of cookies! Girl Guide mold, Griffins. Collection of the Petone Settlers Museum. 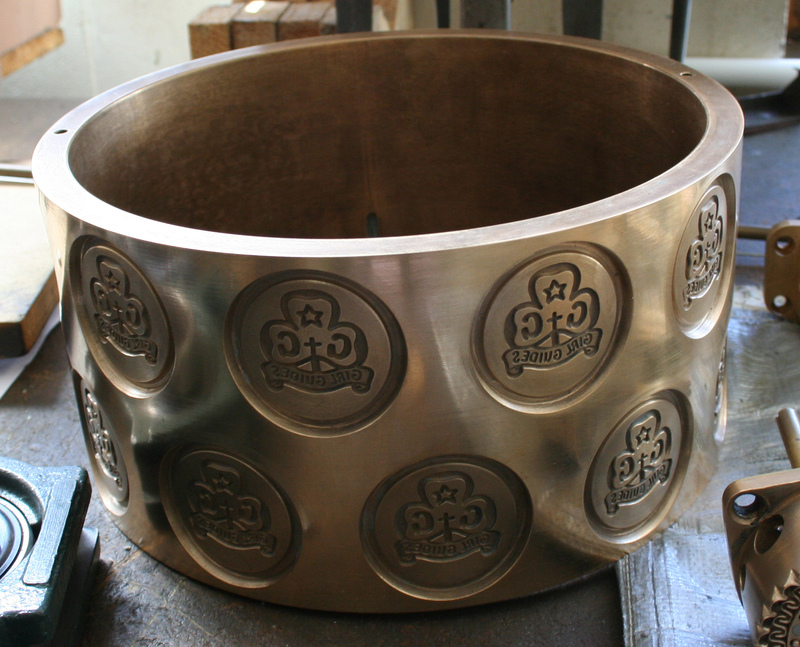 We were given a number of biscuit molds, including this one which made that most iconic of snacks, Girl Guide biscuits. 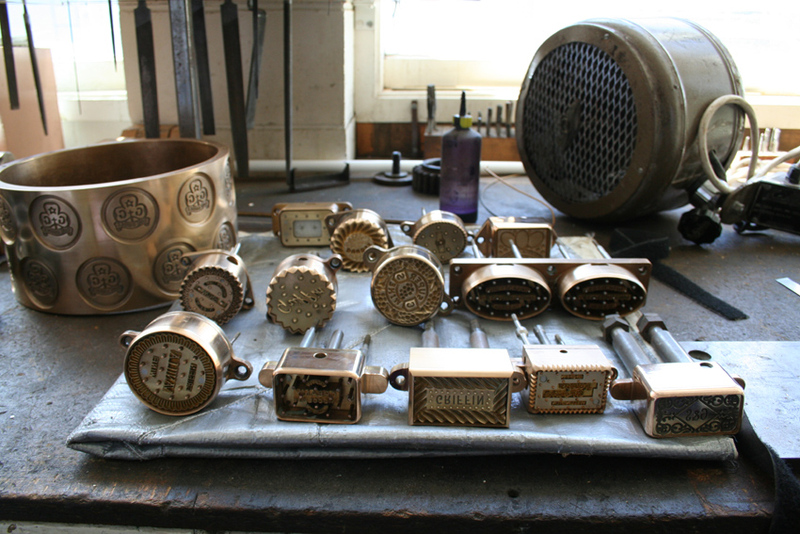 Items from the Griffins Factory. Collection of the Petone Settlers Museum. We’re so grateful to have these mementos of such an important and dearly loved part of Lower Hutt’s history. This entry was posted in PSM and tagged biscuits, Griffins Factory, Nelson Provincial Museum. Bookmark the permalink. I especially like the Guide biscuit mold, it takes me back to selling them when I was a Brownie and Guide.